Below is a list the 2019-2020 tuition costs & benefits per phase. For a complete list of terms and conditions please be sure to thoroughly review your enrollment contract prior to signing and submitting. Annual Registration and Security fees are NON-REFUNDABLE. Security Fee (All Levels): $275.00 per child. Due with registration deposit. All levels provide the opportunity to receive sibling discounts. We do not charge a fee for credit card payment. Temple Membership is discounted anywhere from 50-100% depending on the enrollment level. For Tuition Assistance opportunities click here. 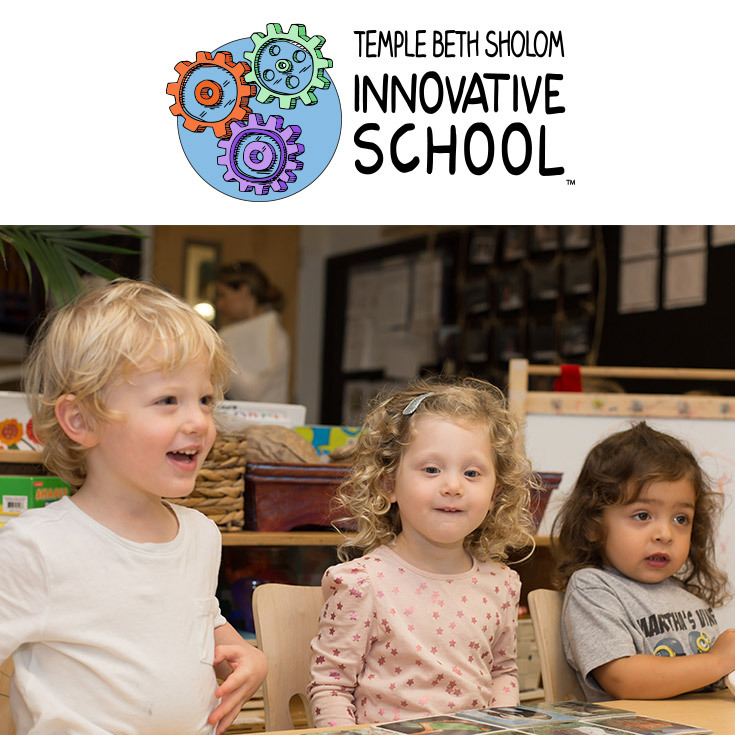 Temple Beth Sholom Innovative School welcomes families from diverse backgrounds who support our mission, educational philosophy, approach, and values. Temple Beth Sholom Innovative School admits students of any race, color, national or ethnic origin, gender identity, gender expression, religion, medical condition, disability, sexual orientation, and family structure to all the rights, privileges, programs, and activities generally accorded or made available to its students. It does not discriminate on the basis of race, color, national or ethnic origin, gender identity, gender expression, religion, medical condition, disability, sexual orientation or family structure in the administration of its educational or admissions policies or other programs.